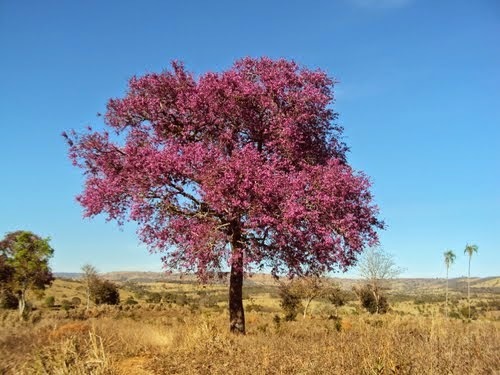 Goiás, center west region, nestled in the heart of Brazil, is a state surrounded by Tocantins, Bahia, Minas Gerais, the Federal District of Brazil, Mato Grosso do Sul and Mato Grosso. 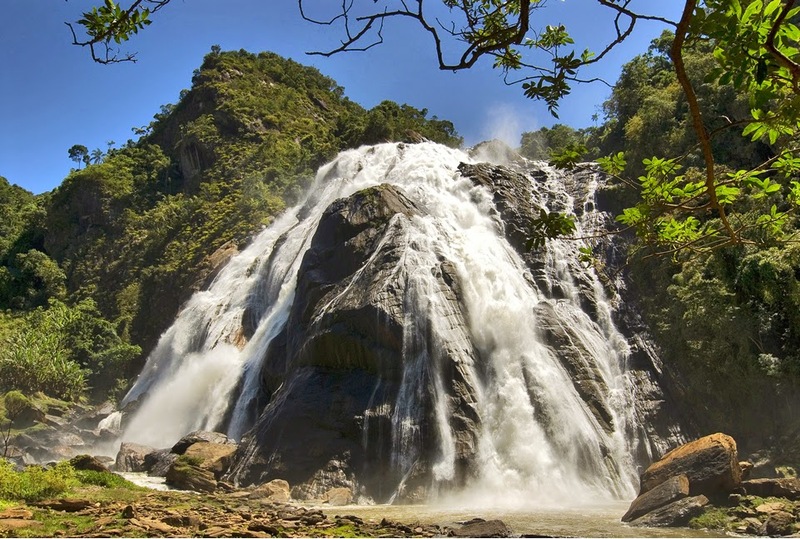 It is the most populous State of the region and is characterized by its extensive plateaus. 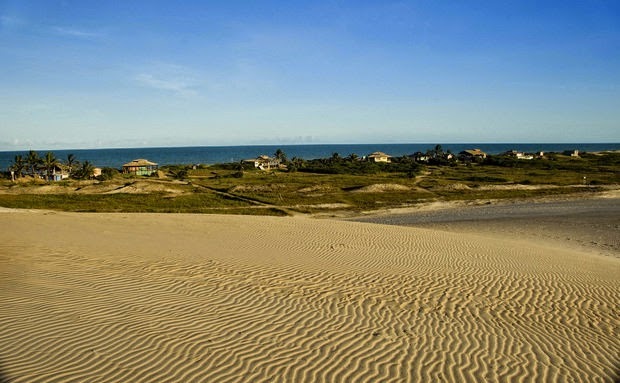 Its driest period is between June and September, when the beaches of the Araguaia River are exposed by an amazing two extra kilometers due to the falling of the water level. 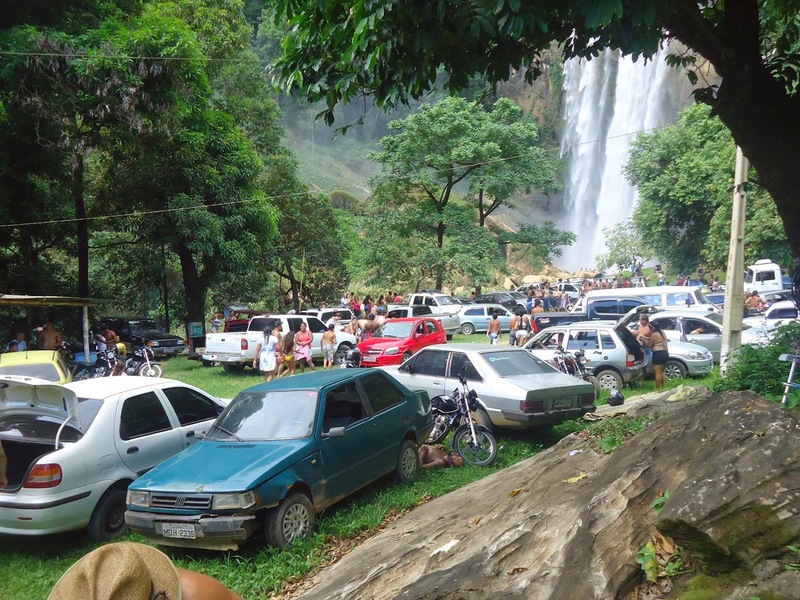 This is a very popular tourist attraction, drawing hordes of visitors to Goiás each year. 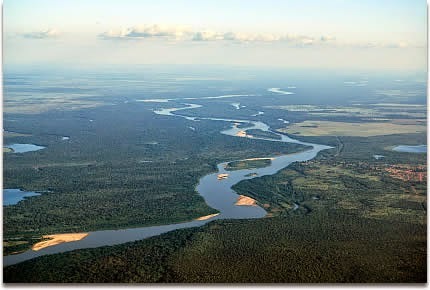 Araguaia River meandering through tropical rainforest in Brazil. 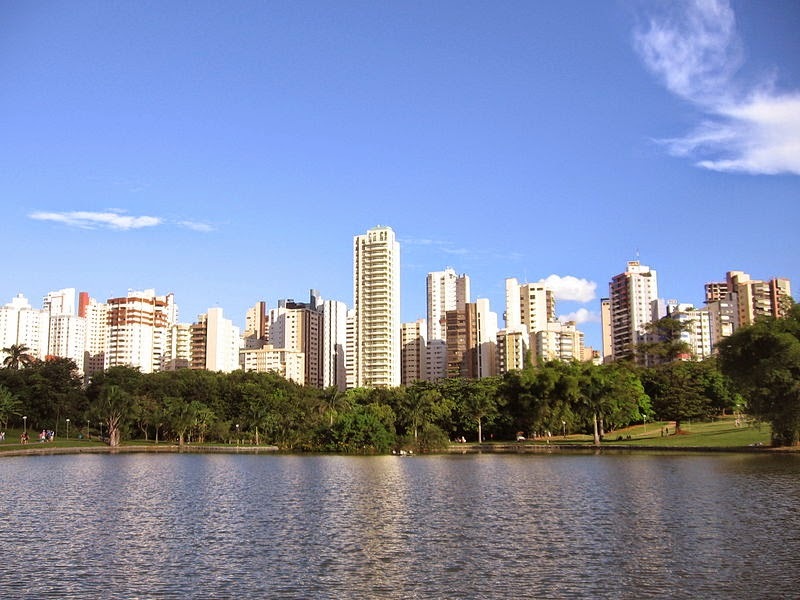 Goiânia is the capital city of the State and is its largest. 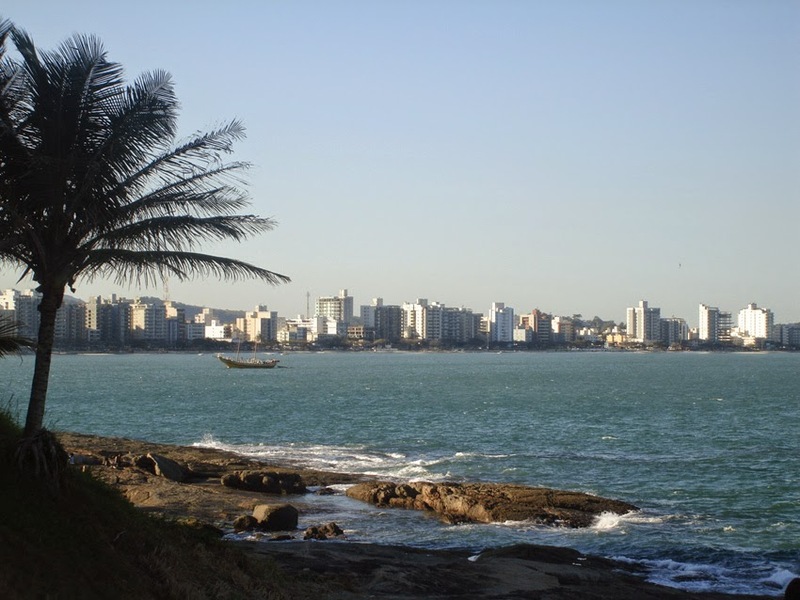 Nationally recognized as one of the best Brazilian cities to live. 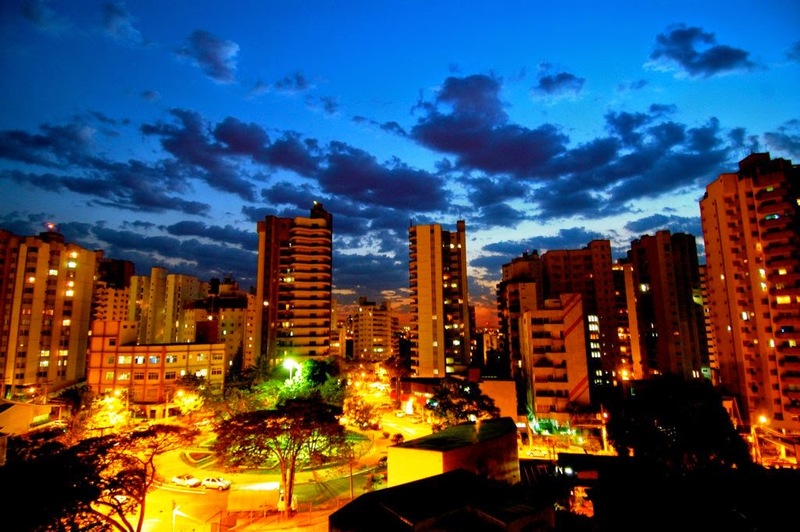 Goiânia is a young and dynamic city. 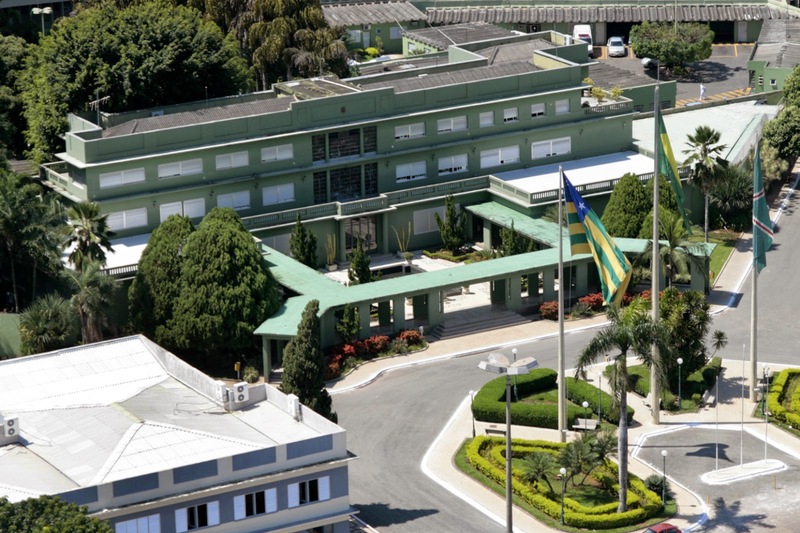 With a population of over one million inhabitants, received contributions to the formation of goianiense from the most diverse States in search of a vibrant city, hungry for strengthening the economy after the gold cycle and, in particular, on the rise with agribusiness exporter. 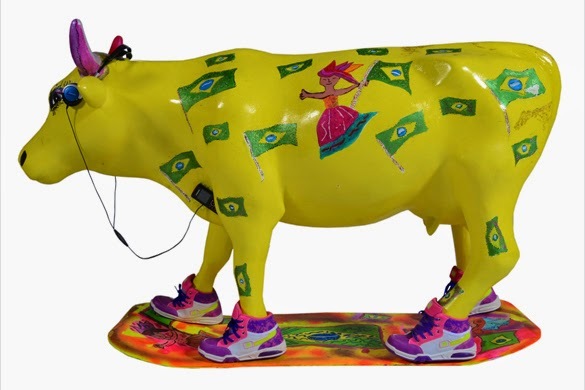 In Goiânia also has the CowParede, what it's the largest and most successful public art event in the world. 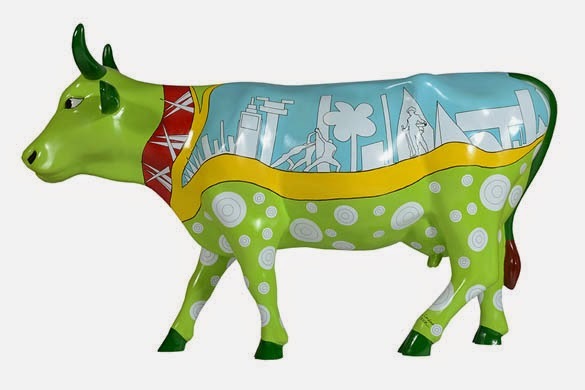 The sculptures of cows in fiberglass are decorated by local artists, and distributed by the cities and in public places such as subway stations, streets and parks . After exposure, the cows are auctioned and the money is delivered to the charities. 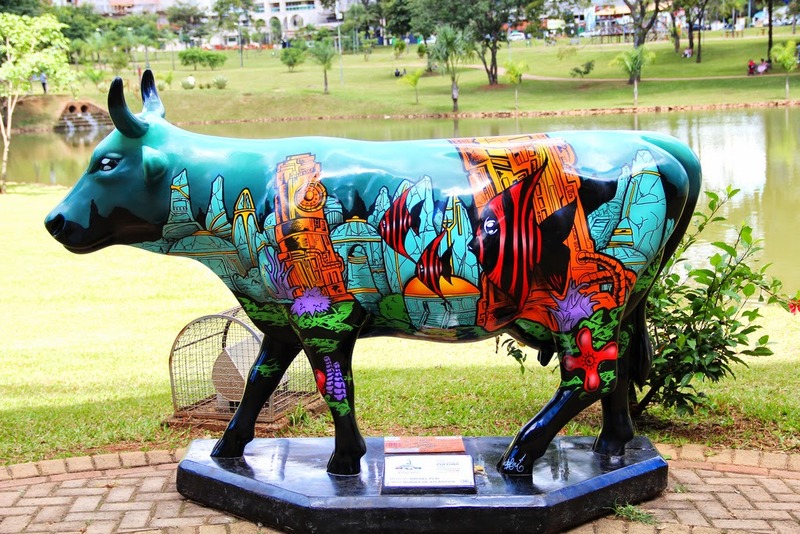 The cows are painted by local artists: Painters, sculptors, craftsmen, architects, designers and other creative and artistic people are welcome to submit a project for selection from unknown amateurs and even professional and famous. Since 1999, the art event has gone through more than 55 cities worldwide, including Chicago (1999), New York City (2000 ), London (2002 ), Tokyo (2003) and Brussels (2003), Dublin (2003), Prague (2004) and Stockholm (2004), Mexico City (2005), São Paulo (2005 ), Curitiba (2006), Belo Horizonte (2006), Boston (2006), Paris (2006), Rio de Janeiro (2007), Milan (2007) and Istanbul (2007), Madrid (2008), Taipei (2009) . 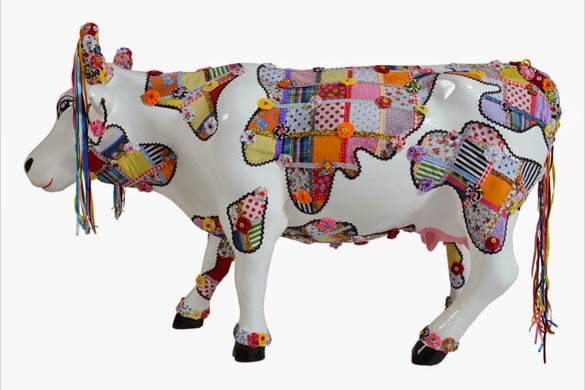 Around the world, more than 5,000 artists participated in CowParade, it's estimated that over 150 million people have seen one of our famous cows and $ 22 million was raised for charities through the auction of the cows .. 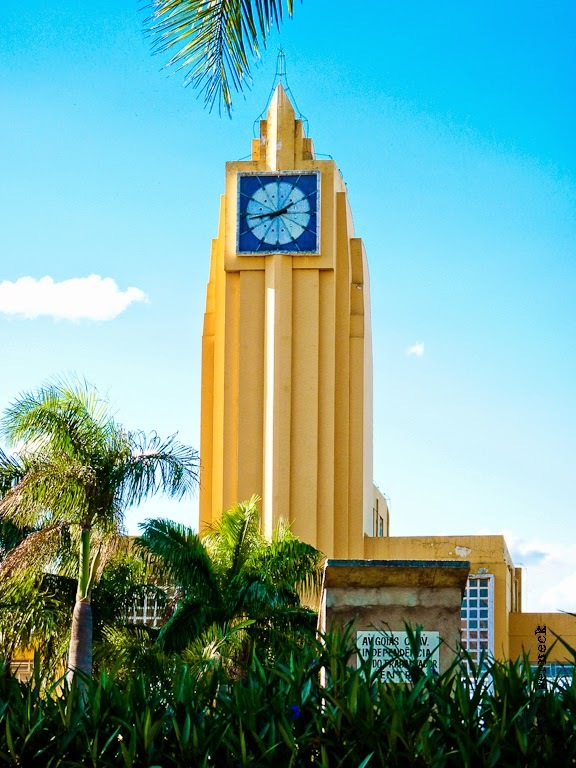 The goianiense panorama indeed planned to Art Deco style, seen as Artistic and Historical Heritage of Brazil as the second greatest asset in the world, reveals architectural nuances and hidden beauties throughout the city. 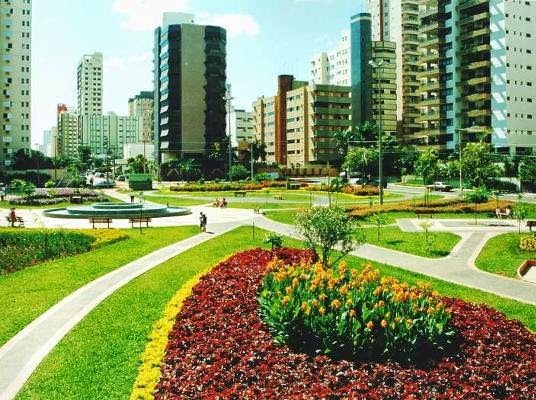 Highlights for the urban set of civic square, where the Palace of Emeralds and Zoroastro Artiaga Museum, Teatro Goiânia, the old Railway Station and Avenida Goiás are situated. 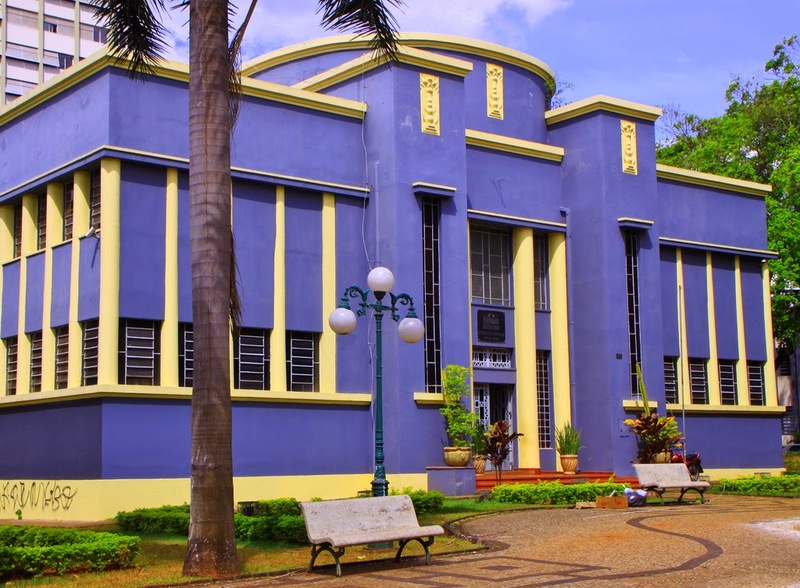 The capital is also reference in shopping, health care, considered also a polo of clothing, business and events. 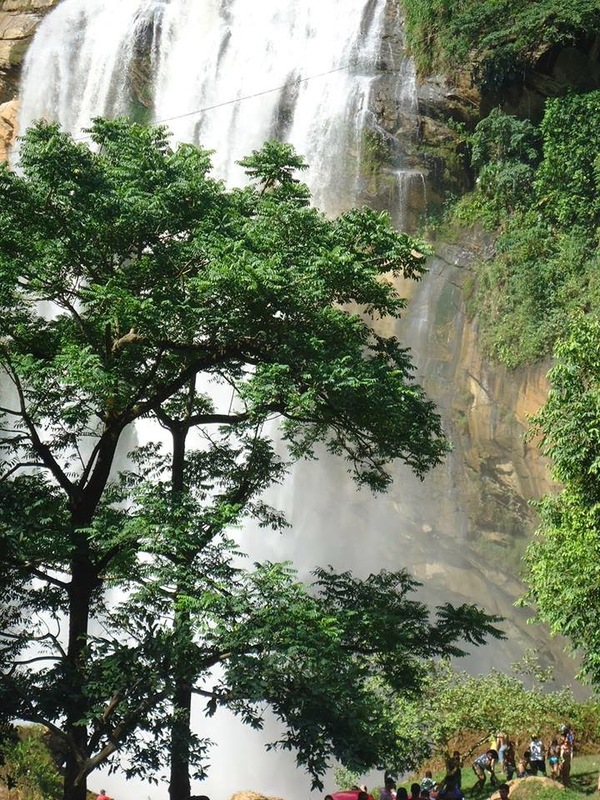 Initially, the entire state covered more than 600 000 square kilometers (or 230 000 square miles), which is quite considerable. 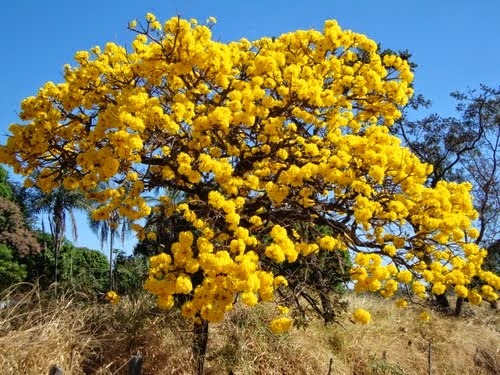 But, in 1989, it was split and the northern half was created another state: the State of Tocantins, while the southern half remained Goiás. 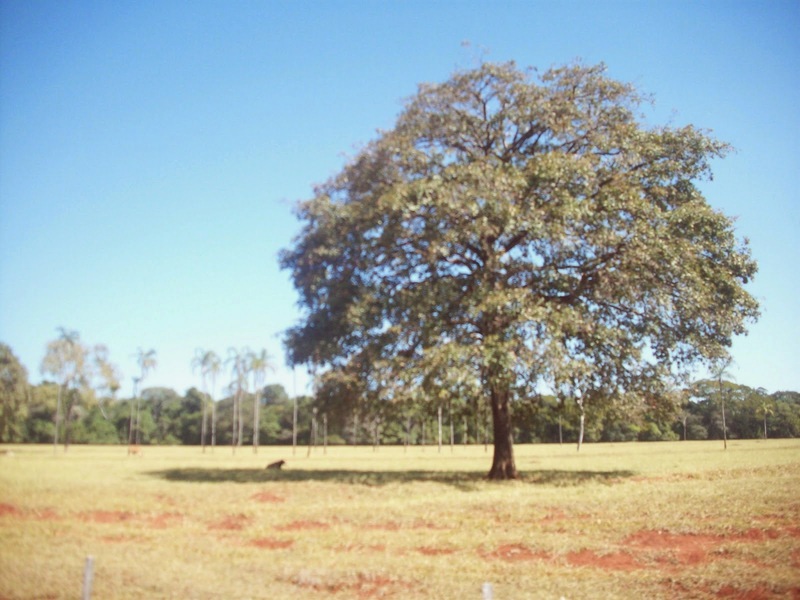 The vegetation of Goiás is defined as woodland savanna. 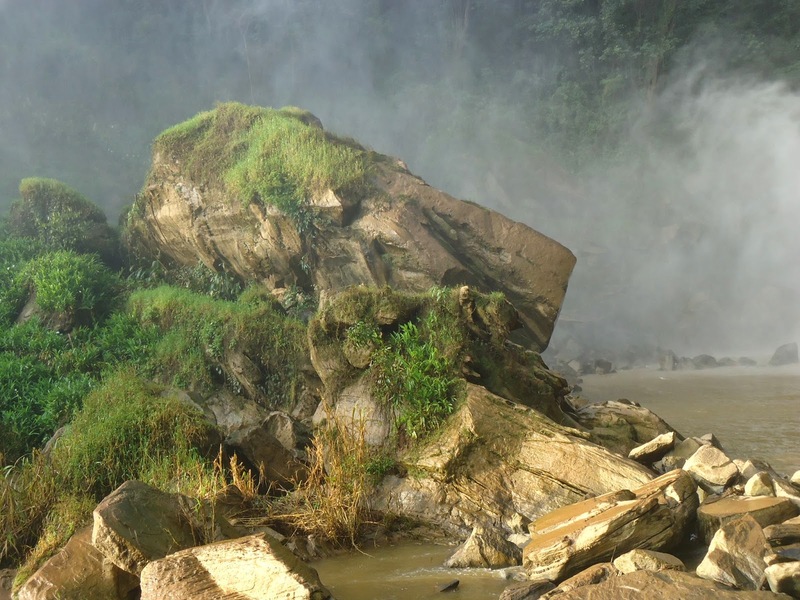 However, much of this, as well as some of the tropical rainforests that line the rivers, have been damaged and destroyed to make way for farming. 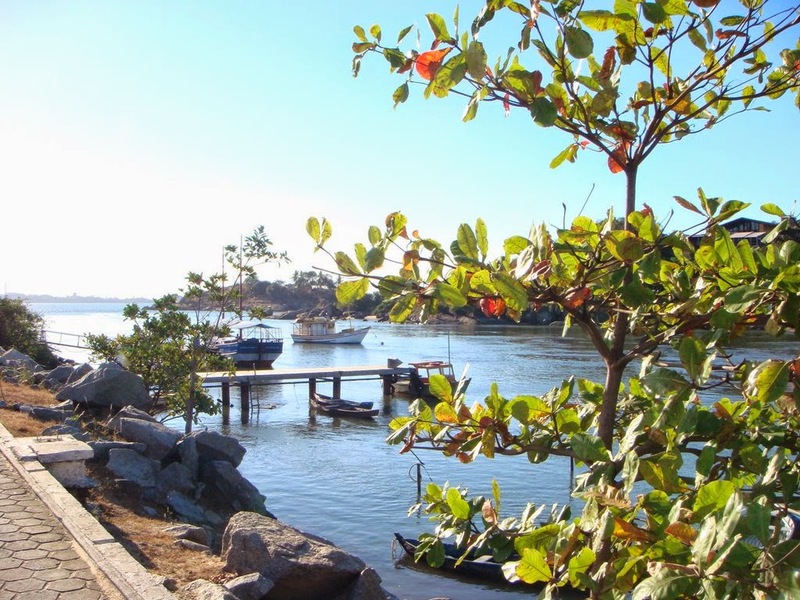 The tropical climate means pleasant daytime temperatures, even in the winter months. 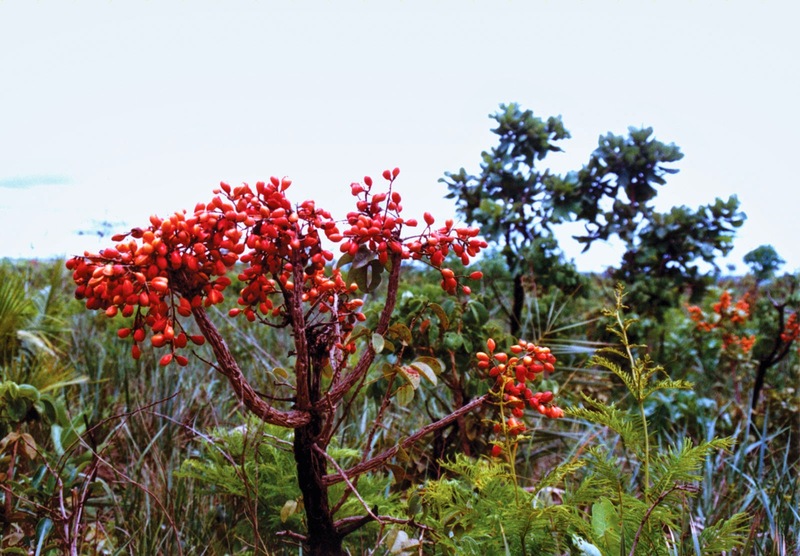 The typical woodland savanna vegetation has gnarled trunks, short stature, with thick shells and thick leaves. 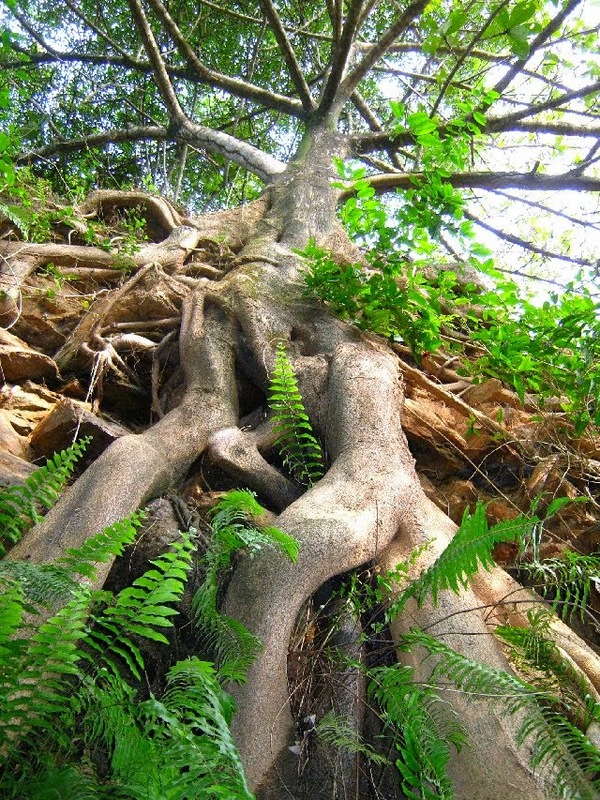 In general, the roots of your trees are pivoting, linked to groundwater which may facilitate its development for up to 15 feet deep. 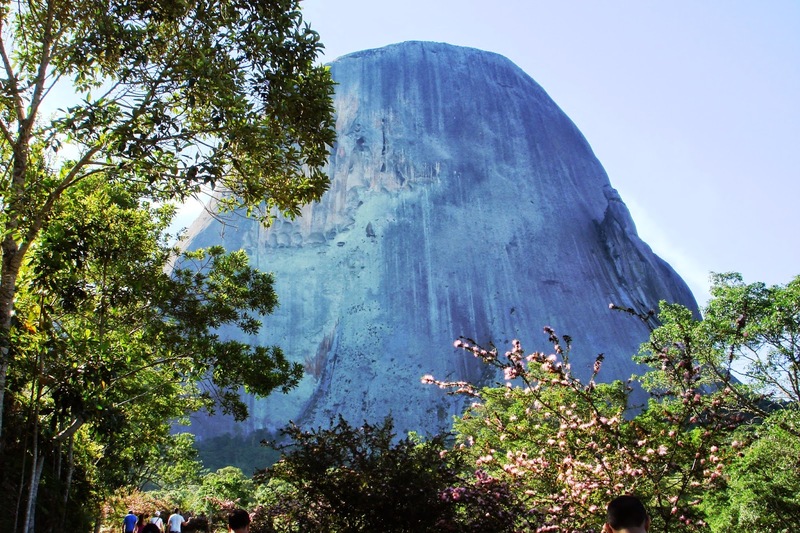 Within the Federal District and other urban areas, this State is densely populated. 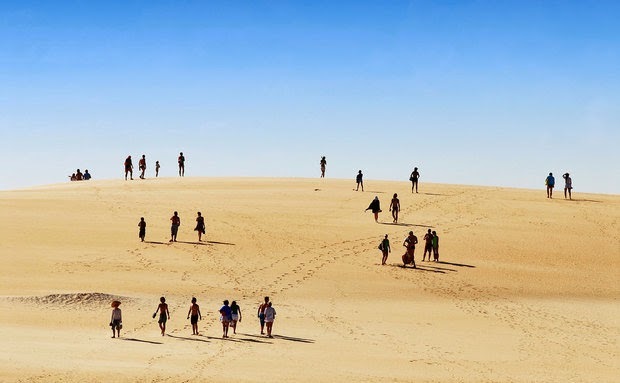 However, as soon as one ventures out of these epicenters, the population numbers decrease significantly. The service sector contributes the largest percentage to the Gross Domestic Product (GDP) of the state, followed by the industrial and agricultural sectors. Cattle farming continues to generate an enormous revenue for the inhabitants, while the agriculture of sugarcane, tomatoes, rice, cotton and beans also plays a major role. 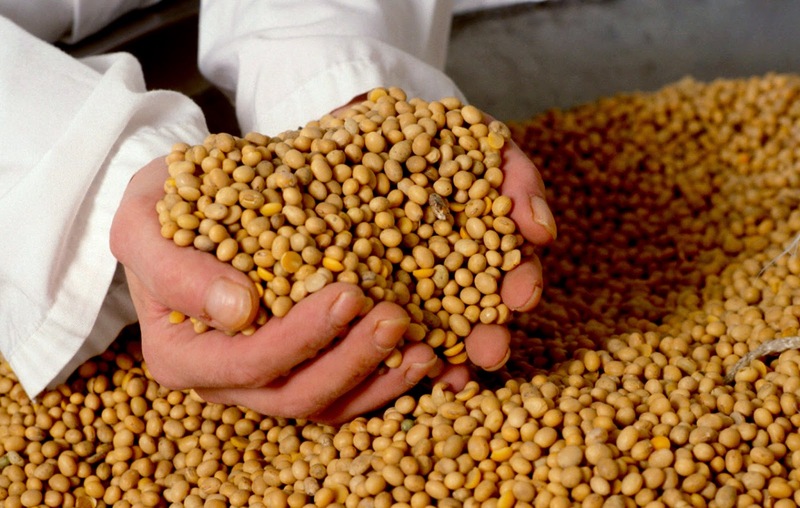 There are several soybean crusher operations and soybean industries in Goiás. 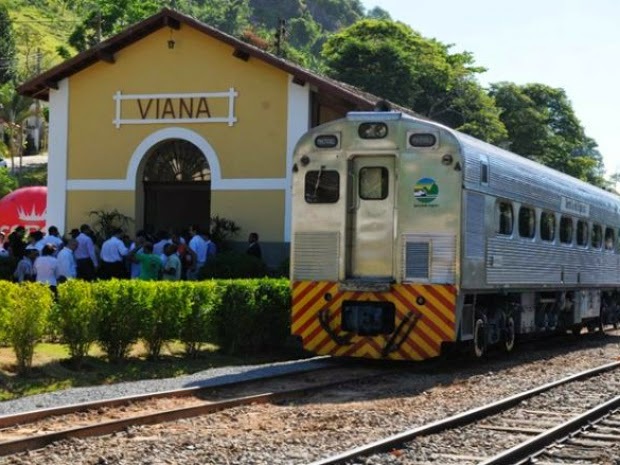 Soybeans are exported via the Dry Port in Anápolis, Goiás by rail to the sea port in Vitória, the State of Espírito Santo and from the inland river port of São Simon, Goiás to ports in the Southern part of Brazil. 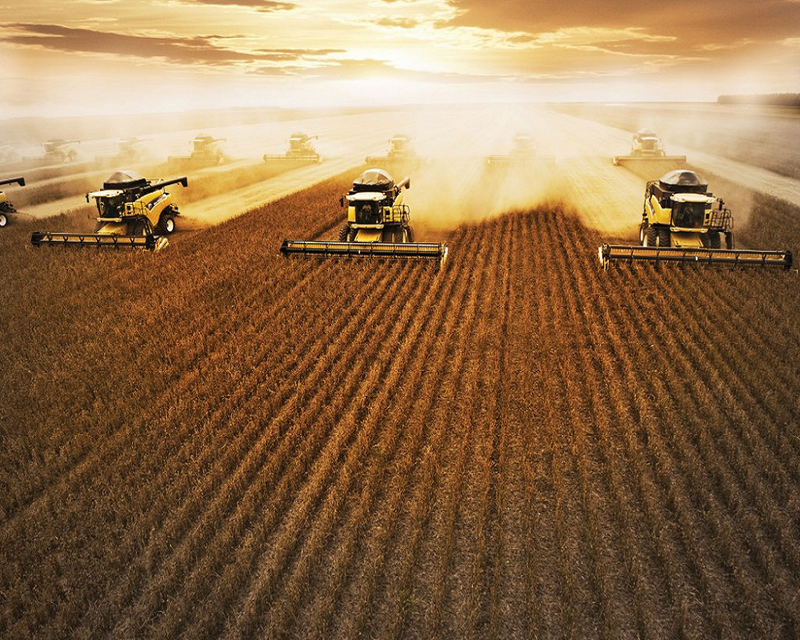 In 2003, about 6.3 million tons of soybean were produced in Goiás making the State the 4th largest national producer. 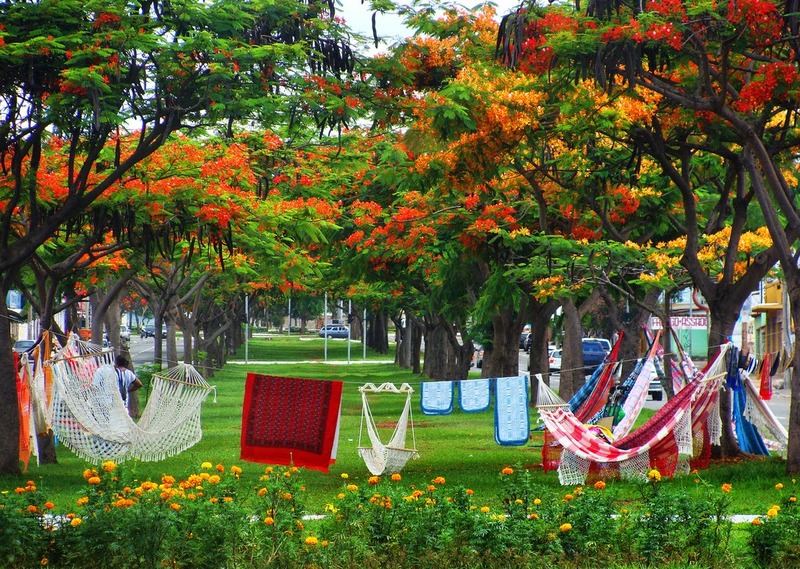 Goiás is a constant invitation to visitors. 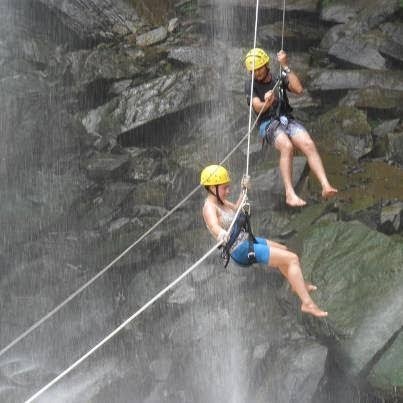 Destinations that meet the desire of people of all ages. Styles that include everyone. 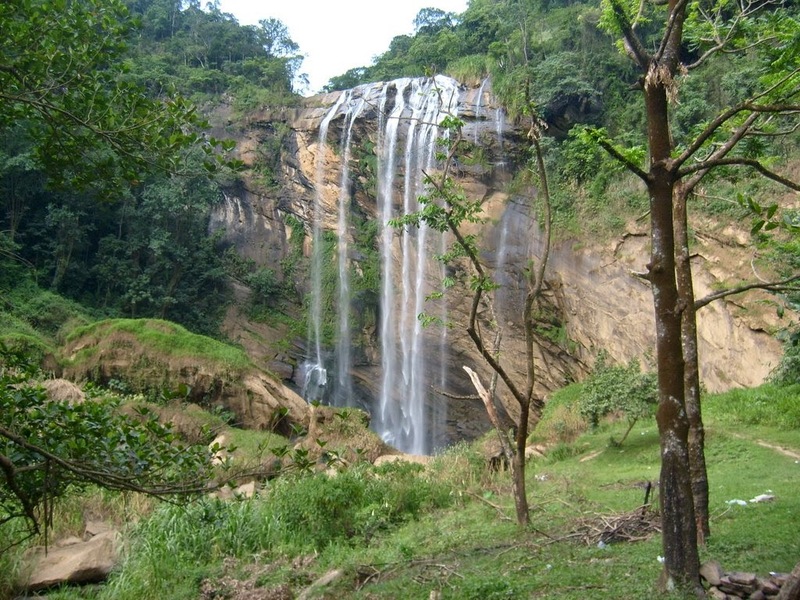 Landscapes are eye popping, ecotourism circuits, cultural events, spas, hot springs and fishing routes. 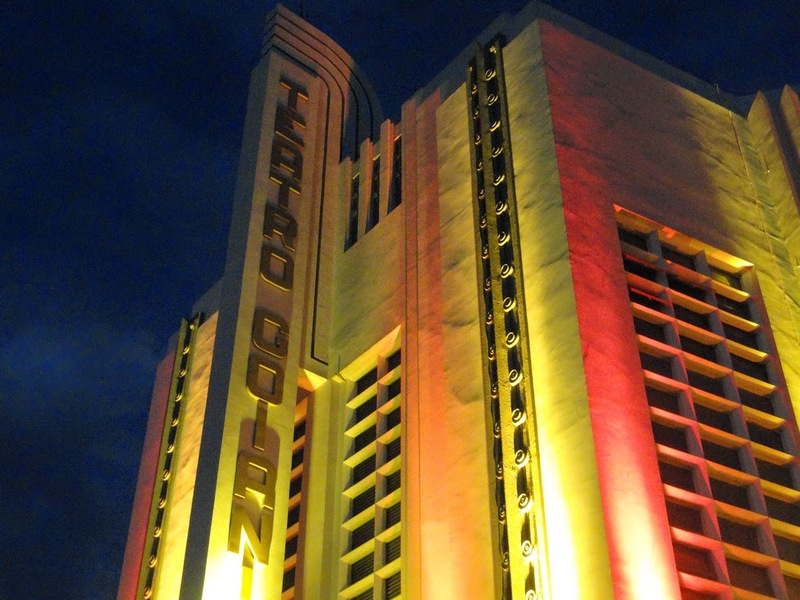 This is all not to mention the exciting nightlife of Goiás cities, which complement the leisure alternatives with bars, restaurants, nightclubs and parties. 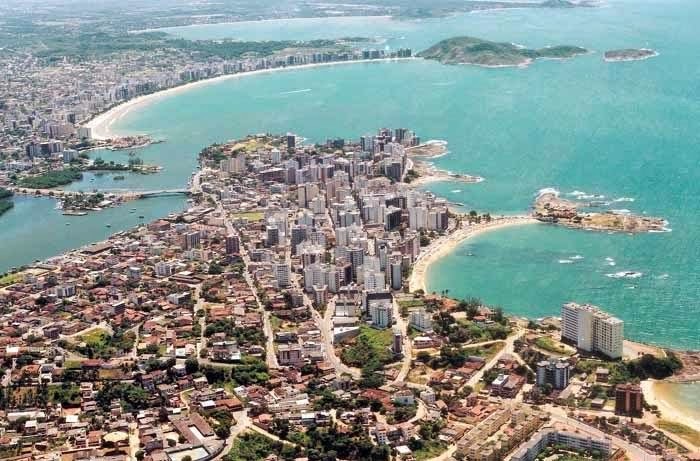 "Capixaba" it's the adjective that qualifies people born in the capital of the state of Espírito Santo (Vitória) or Espirito-Santense for other places of the state but the name "capixaba" with the popular use of this adjective was extended to all those from Espírito Santo. 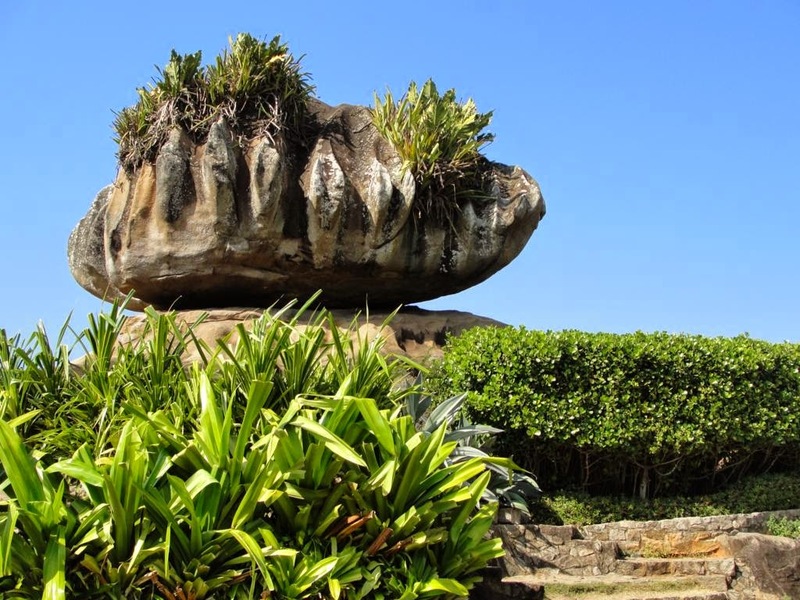 The city is formed by an archipelago with 34 islands. 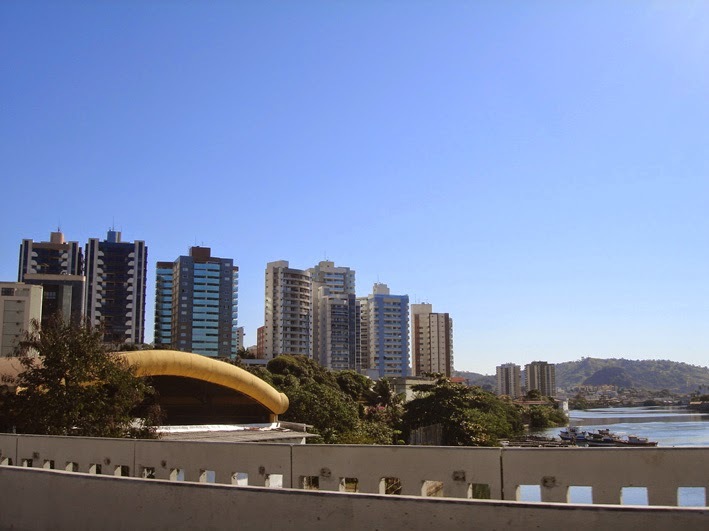 The 3rd bridge connects the capital to the Vila Velha County, which has important monuments such as the Convento da Penha and the 38th Infantry Battalion of the Army. 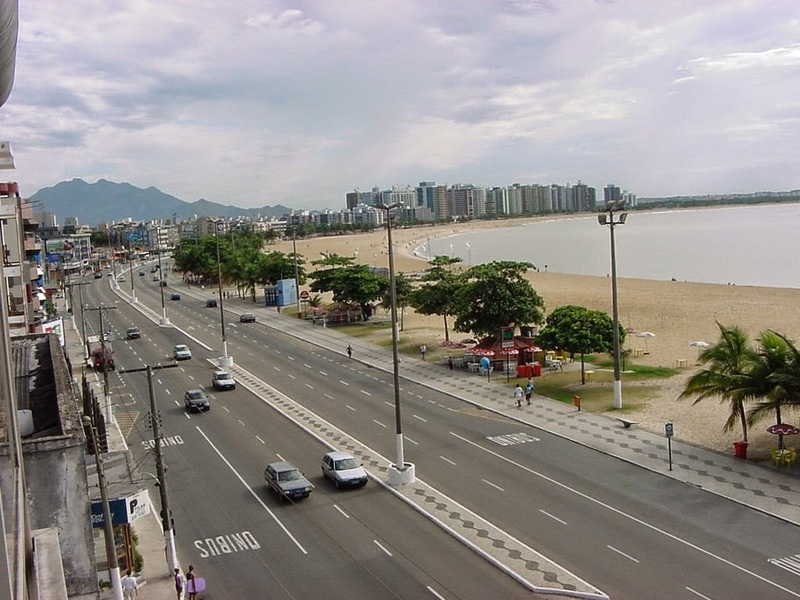 1) Guarapari is a coastal town and it's a part of Greater Vitória, 47 km south of the state capital. 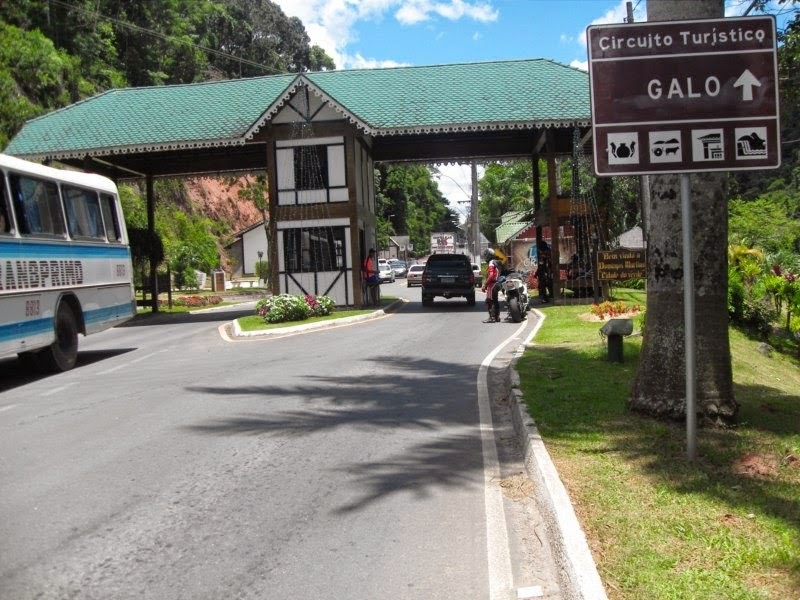 It's a well-known tourist destination, known for its curving white sand beaches backed by commercial development. 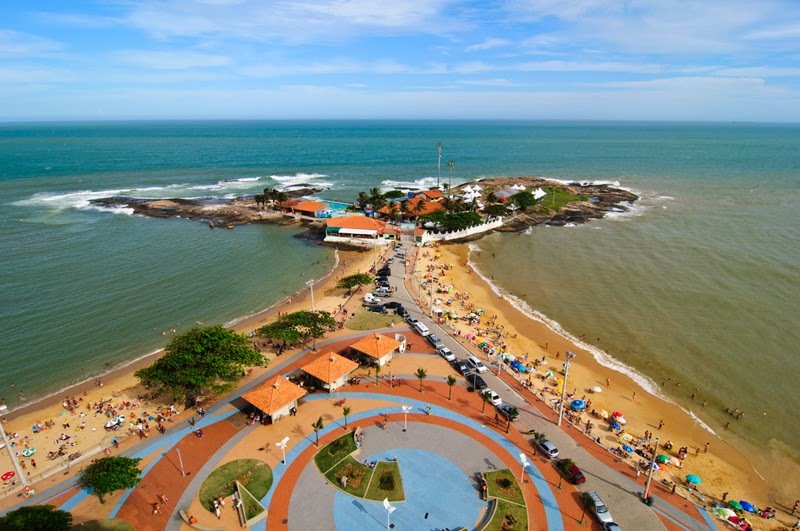 Guarapari attracts many tourists from around the world thanks to its natural beauties and monazite sands (radioactive) with therapeutic virtues that are the hallmark of the city called Health's City. 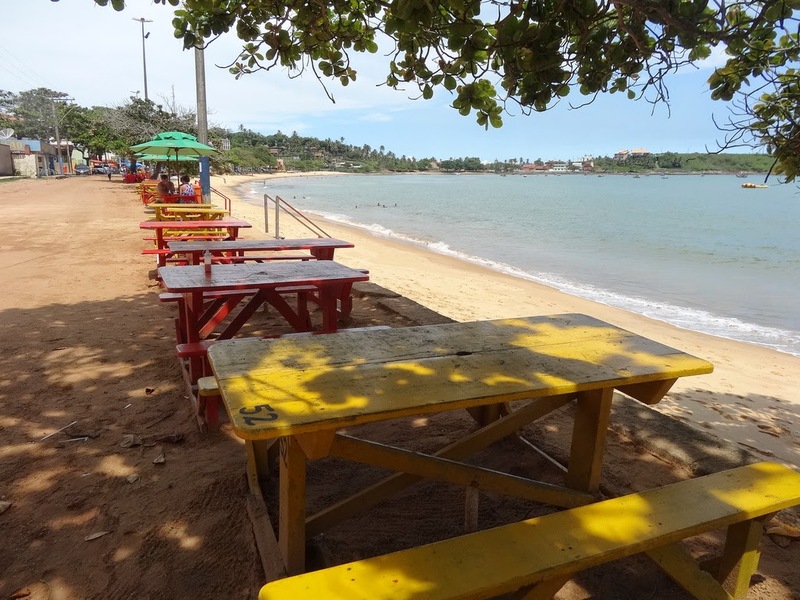 With 28 beaches and good hotel chain, enough to attract 700,000 tourists in the summer. 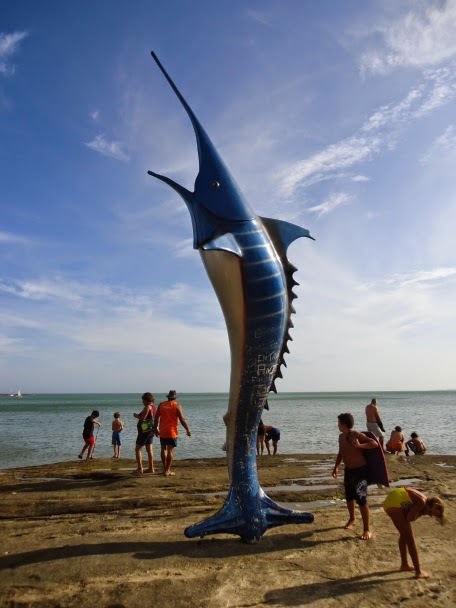 Blue Marlin Fish statue, the starfish of Guarapari! 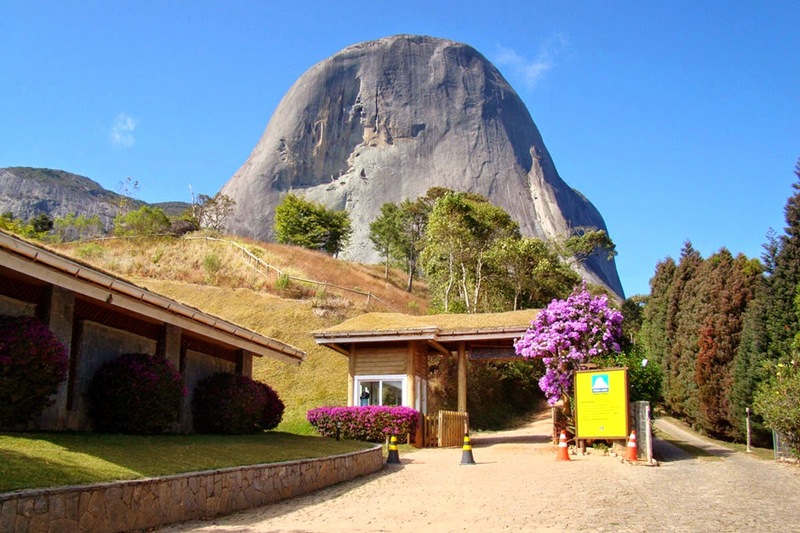 2) Parque da Cebola (Stone Onion's Park) This park turned a postcard of the Espirito Santo because it has a stone on onion format. 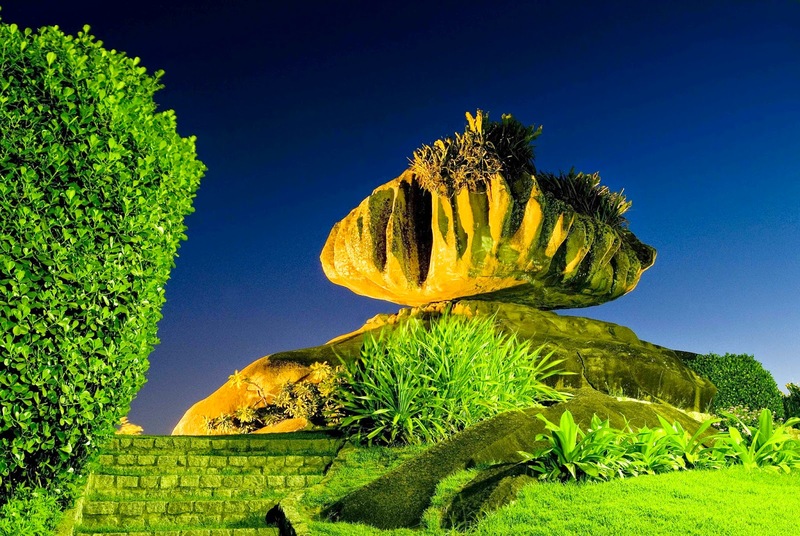 At night, this stone gets special lighting, making it even more beautiful place. 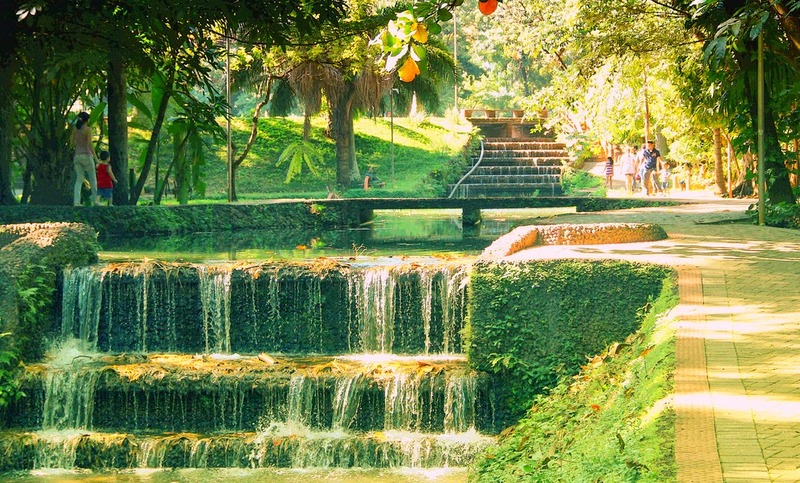 The park is also great for a walk with children as it has a little farm, birds and plenty of green space. 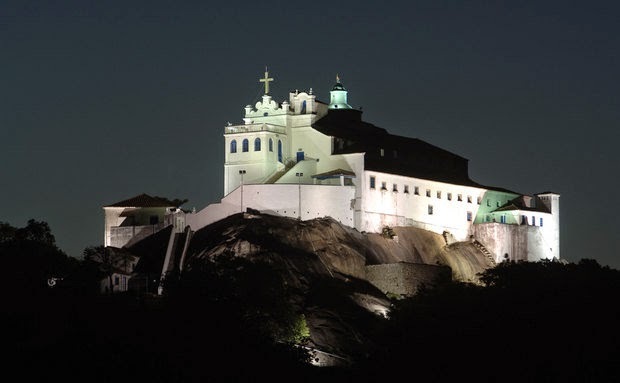 3) Domingos Martins is approximately 60 km west of the state capital, Vitória, and is 542 meters above sea level. 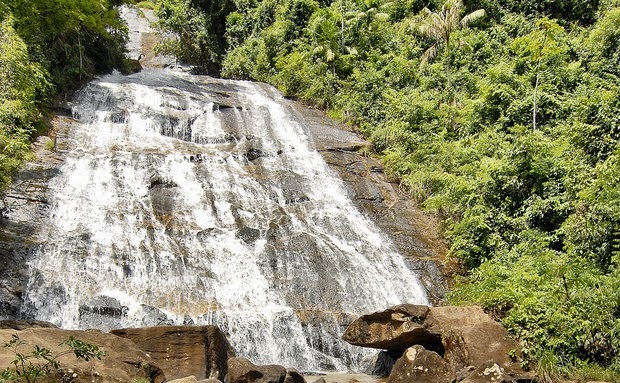 It's in the mountainous region of the state and is marketed as the "Green City", since it's surrounded by subtropical rainforest, much of which has disappeared in the rest of the region. 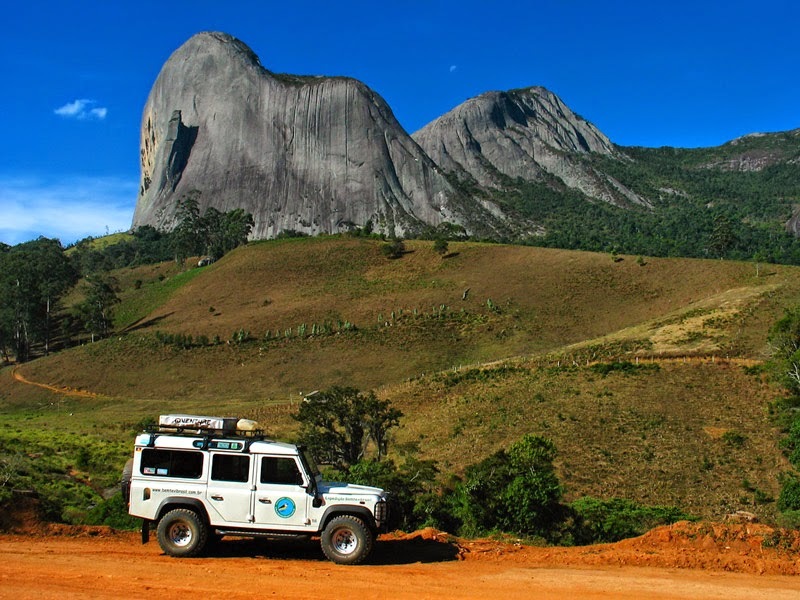 Within its borders lie mountains of up to 2000m, amongst which is the well-known Pedra Azul State Park consisting mainly of a quartzite rock jutting out of the surrounding landscape at 1,822m above sea level. 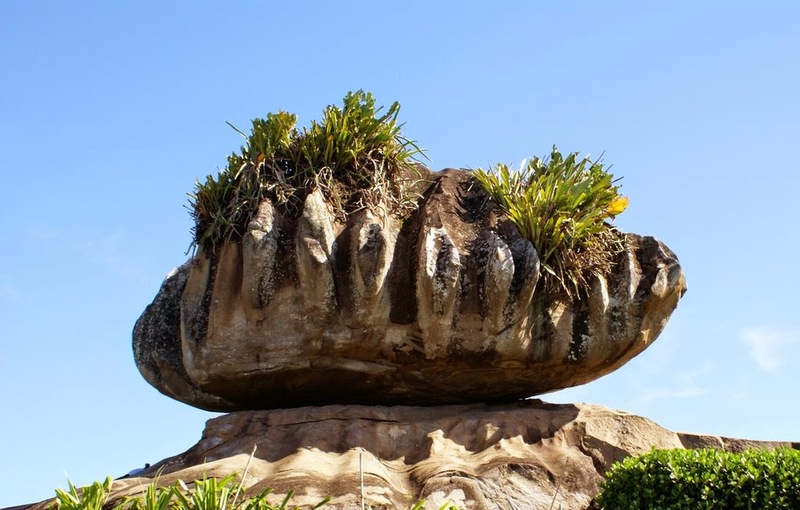 It has a blue tinge to the stone due to the kind of lichens which grow on it, which gives the name to the formation and the park. 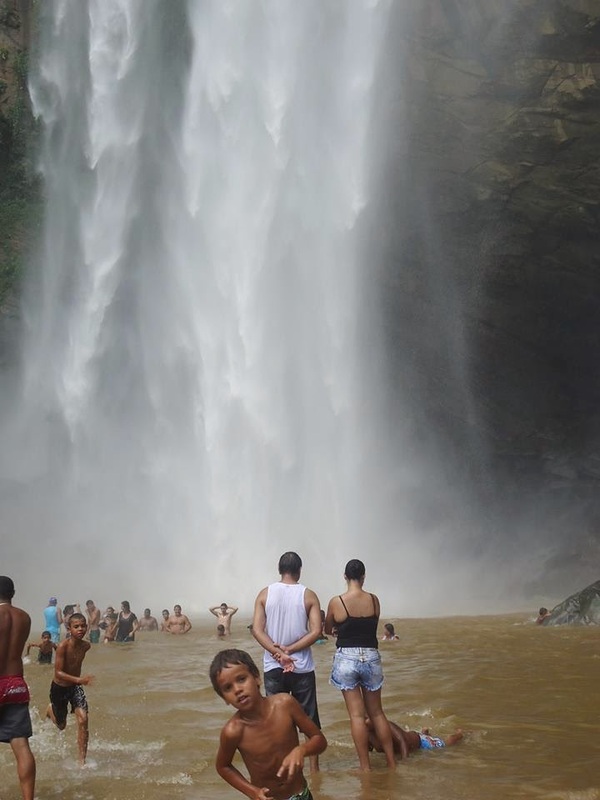 Cachoeira da Fumaça is located in the Fumaça Falls State Park, with a drop of 144m high; the waterfall attracts hundreds of visitors. 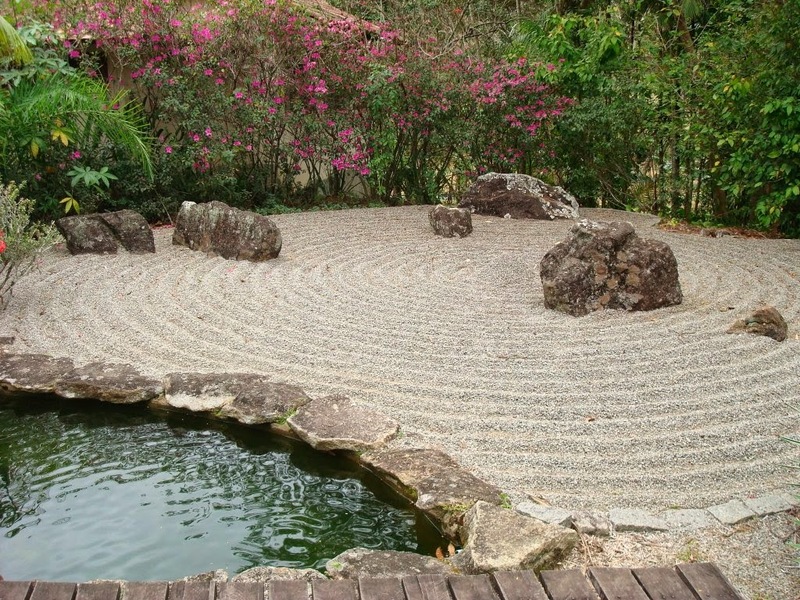 In Domingos Martins. 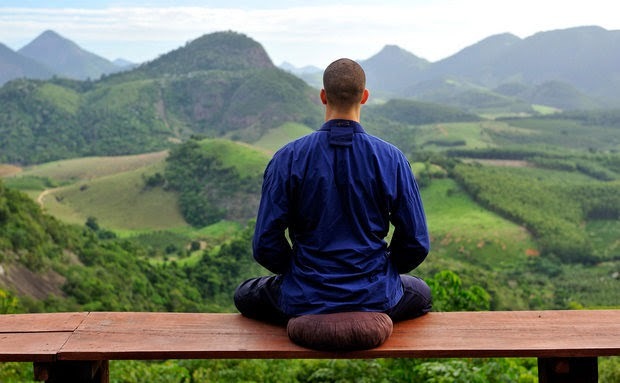 Zen Buddhist Monastery: The first Buddhist monastery in Latin America today is a center where Soto Zen Buddhism joins the Brazilian reality to transmit the Buddha ancient teachings. 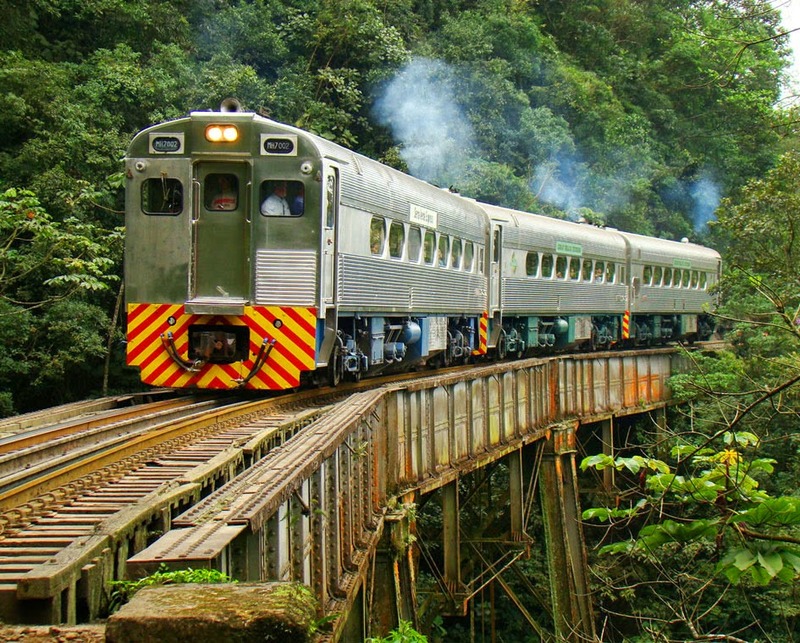 Mountain's Train: Train rail tour that starts from an altitude of 15 meters above sea level and reaches its destination at an altitude of 530 meters, giving to the passengers a stunning landscape of the mountains, the sea and the Atlantic Forest, going through bridges, tunnels and waterfalls. 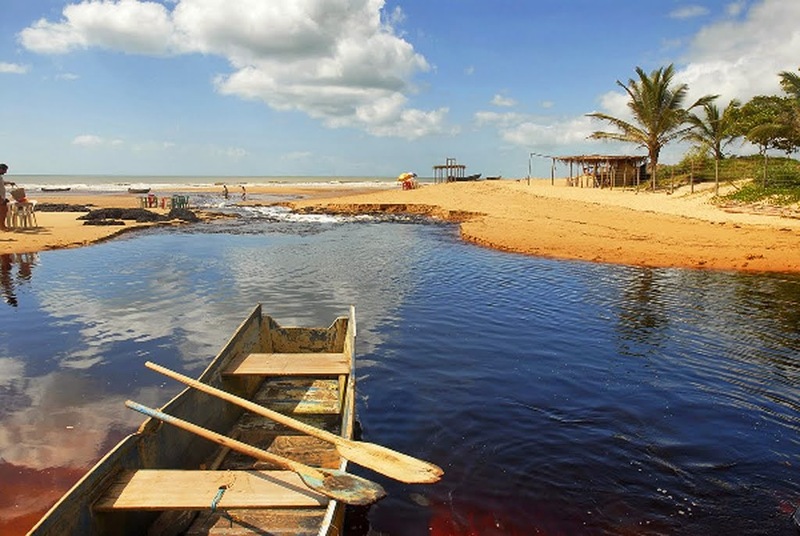 5) Cachoeiro de Itapemirim is a municipality and a major town, located in the south of Espírito Santo, Brazil, on the banks of the Itapemirim River. 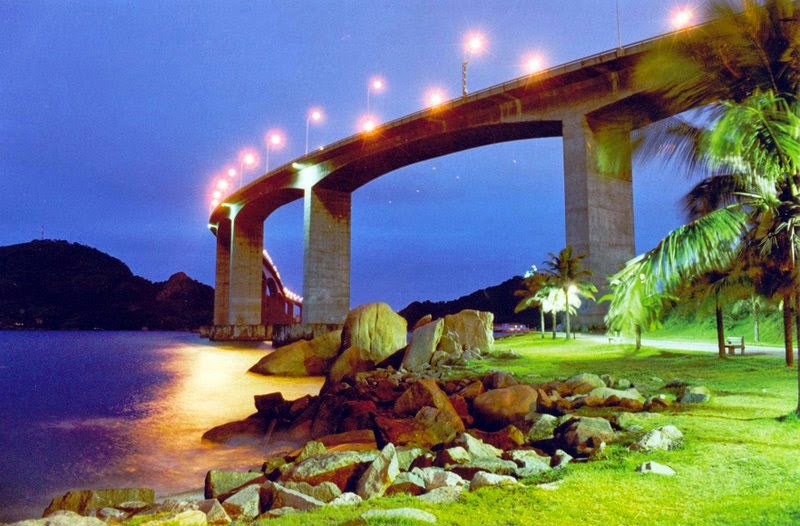 It is the economic hub of southern Espírito Santo, being the most important producer of marble and granite in Brazil. 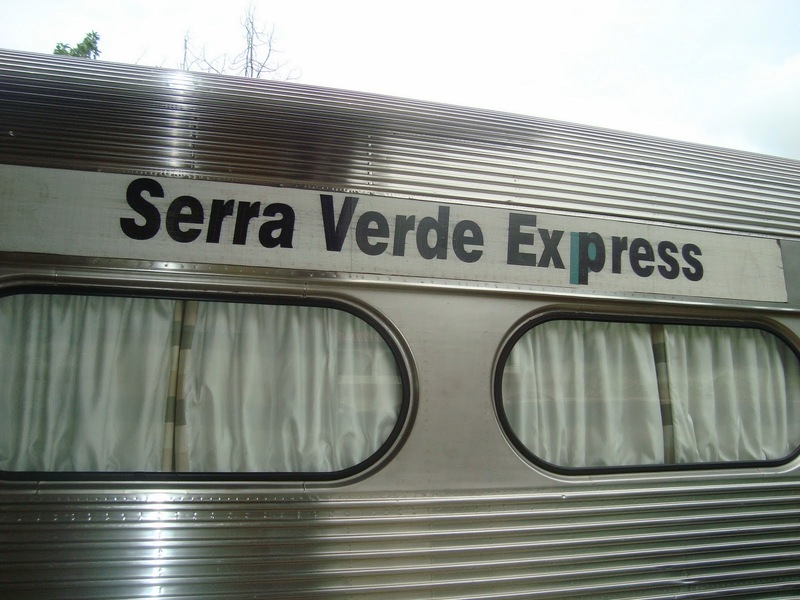 Home to one of the biggest intercity bus companies, it is a very well-connected city. 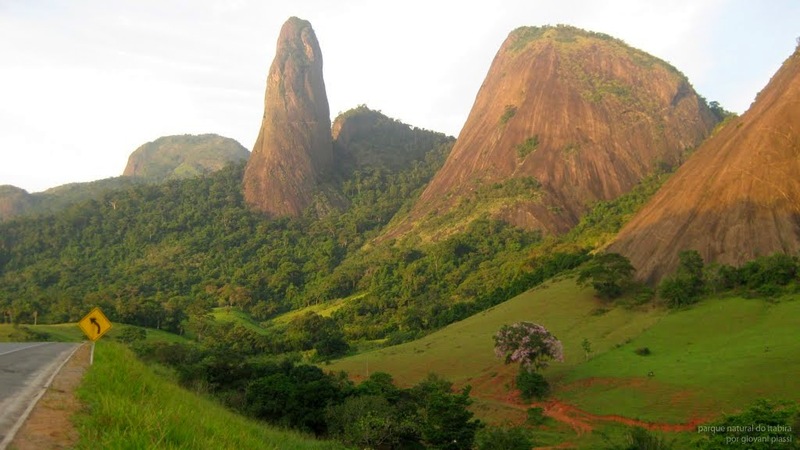 The Friar and the Nun are granite rock formations located in Itapemirim, whose neighboring municipalities are: Cachoeiro de Itapemirim, Rio Novo do Sul and Vargem Alta. 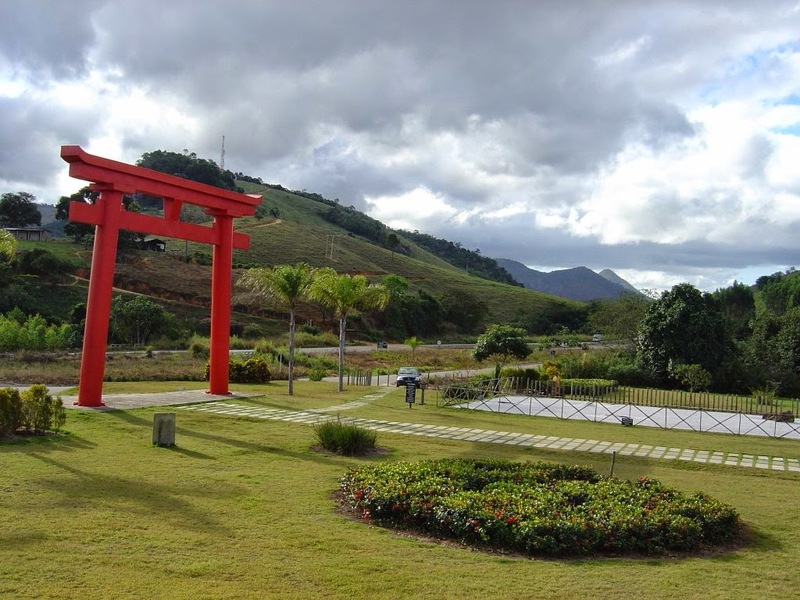 It is located in the southern state of Espírito Santo, Brazil. 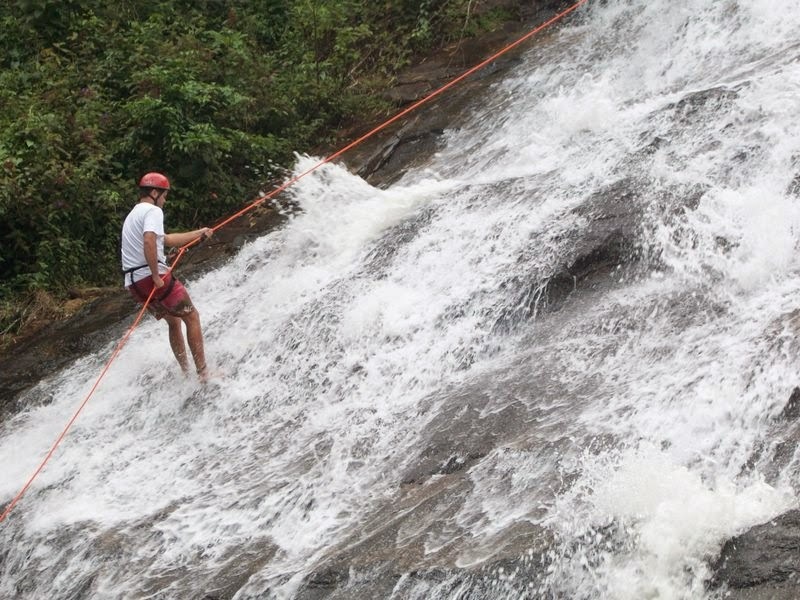 Cachoeira Alta (Tall waterfall): This is the largest waterfall rappelling in the Espírito Santo. 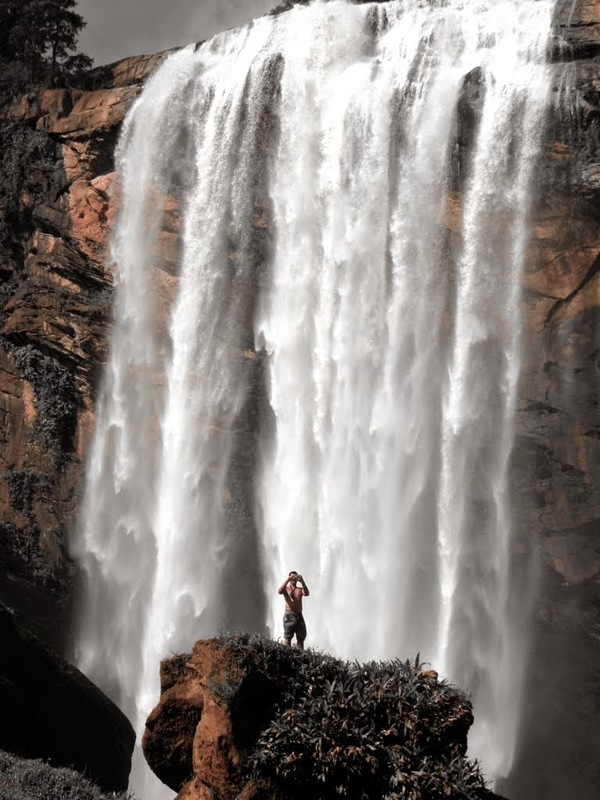 This gigantic falling allows a drop of 100 m!